Created by Mark Rein Hagen in1991, Vampire: The Masquerade literally redefined roleplaying. Its gothic-punk themes were unlike anything at the time. Vampire: The Masquerade was an atmospheric game that focused on the experience of roleplaying over combat and monster hunting. By the mid-nineties, Vampire: The Masquerade, and the associated World of Darkness, dominated the roleplaying spectrum. No longer did players want to hunt the vampire, they wanted to be the creatures of the night. With the fifth edition of Vampire, “V5”, (reviewed here) released at GenCon last month, Jason Carl spoke to Peter Ray Allison about Vampire: The Masquerade and its enduring appeal. What was it about Vampire: The Masquerade that has made it have such an impact? When Vampire first hit store shelves in 1991, it looked and felt like no other roleplaying game, with its iconic green marble cover and gritty black-and-white illustrations. It looked serious and realistic, and the way it played focused on powerful stories and deep character relationships rather than on tactical combat or underground explorations. It departed from traditional fantasy tropes of the day and ventured boldly into newer, darker territory. That was revolutionary. Vampire was the first game where you played the monster. Was this part of what made the game so compelling? It wasn’t just that you played the monster, which by itself was an innovation. It was that you played a monster who struggled against your own monstrous nature, and this inner struggle fueled powerful stories that encouraged critical explorations of evil within ourselves and in the world. This, combined with its striking visual aesthetics, gave Vampire a literary and dramatic weight that made it appealing to audiences who hadn’t been interested in roleplaying games before. And these audiences brought new, different expectations, styles, and points of view into the hobby. It was a watershed moment that changed roleplaying games, forever. How did you maintain the quintessential nature of Vampire: The Masquerade whilst creating the V5 system? Our design team started by examining first principles, asking themselves: what, at its core, is Vampire really about? From that question, they identified several elements that are key to the Vampire roleplaying experience: the inner struggle of humanity against the monstrous Beast; the vampire’s constant hunger for blood; exploring the nature of evil; and the grand tapestry of vampire politics and survival set against the growing threat of humanity. All of these elements started with Vampire: The Masquerade’s first edition and remained with the game throughout its history, but they took fresh look at each idea and thought carefully about what each would look like in today’s world, both in terms of game design and story. Are there any particular systems/themes that you feel are quintessentially Vampire: The Masquerade? The Hunger and Humanity systems are critical to getting the right Vampire feel when playing the game. They’ve been expressed a little differently in different editions, but their basic framework hasn’t changed until V5. In previous versions of the game, that struggle was represented by a 10-point scale that measured the vampire’s relative state of humanity against a uniform hierarchy of sins (same sins for all vampires, regardless of their origins, cultures, or beliefs), and the rules made it relatively easy to avoid or delay losing humanity. The hunger system seems to have undergone a fundamental change – why was that? Hunting for blood to slake the vampire’s eternal thirst was supposed to be an important part of this personal horror – after all, it’s a pretty awful thing to have to sustain one’s existence by taking the blood of others – but the game’s “blood pool” mechanic seemed too abstract and lacking emotional intensity. So, we shifted the spotlight of the humanity vs. beast struggle, shining it with greater focus on the vampire’s hunger for blood and the vampire’s hunt to obtain it. We felt that by focusing on this fundamental truth of the vampire’s nightly existence, we could explore more deeply the personal horror aspects of the game that it always promised. The result was the Hunger system, pioneered by developer/editor Karim Muammar and writer Karl Bergstrom, and then refined by the design team. They envisioned a system that, instead of measuring how much blood the vampire has in its body, measured how hungry it felt. The Hunger system supposes that a vampire can ignore its hunger only for so long… eventually, it must feed, or risk the Beast driving it to terrible compulsions that might lead to actions even more terrible than hunting and feeding. What were your influences when creating V5? The team found a lot of inspiration in every previous edition of Vampire: The Masquerade that has come before V5. We felt like we were standing on the shoulders of giants. But the very first edition was our most important touchstone. 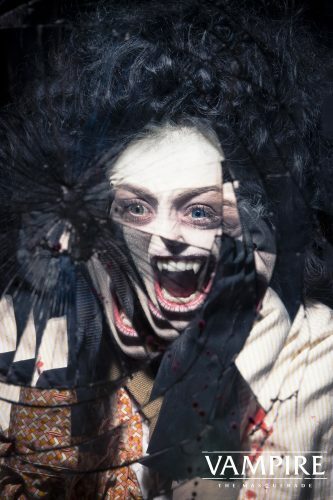 Other influences include visual media like Let The Right One In, Only Lovers Left Alive, The Hunger, The Lost Boys, Ultraviolet, and We Are the Night; literary works like the Vampire Chronicles of Anne Rice and Dracula by Bram Stoker; and countless roleplaying games that the team played and admired, including Call of Cthulhu, Kult, Dungeons and Dragons, Night’s Black Agents, Mutant, and Trail of Cthulhu. Where do you go from here? 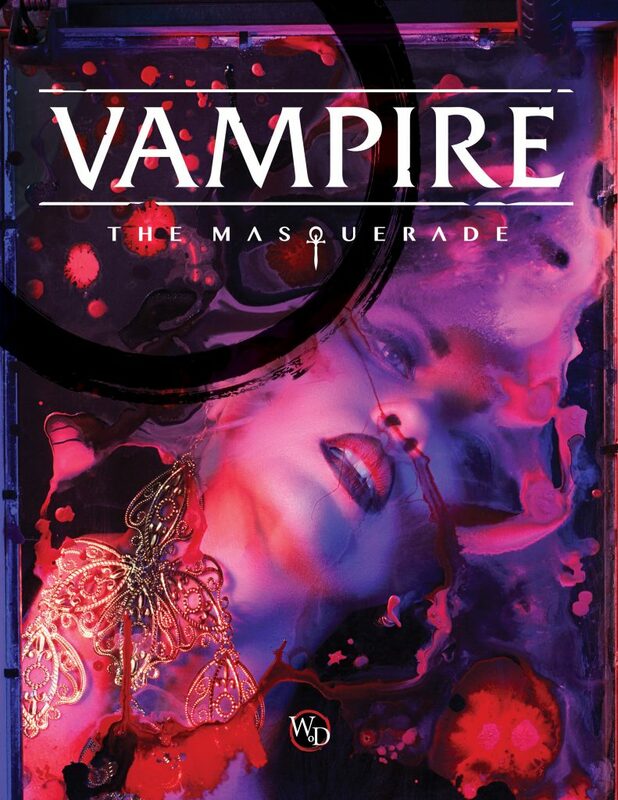 Will there be further expansions of Vampire: The Masquerade? We are completing our work on two setting books, one each for the Camarilla sect and the Anarch sect. The tension between these two vampire factions is increasing in the modern nights, and we explore how both have reacted to external and internal threats, and what it means fundamentally to belong to either them. We also have player aids coming soon, like the Storyteller’s Screen and custom dice, and a deluxe edition of the core book. Will there be fifth editions of other World of Darkness games? This is our ambition. White Wolf is a transmedia company: we want to tell the stories of the vampires, werewolves, mages, and other supernatural creatures not only through tabletop roleplaying games, but also through licensed products like board games, card games, comic books, live-action roleplaying (LARP) events, and maybe someday film or television. Jason Carl, thank you very much.